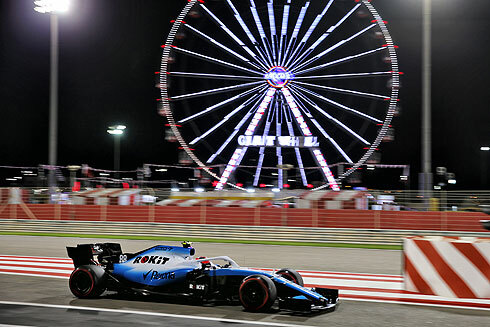 Qualifying for the 2019 Bahrain GP would see the ROKiT Williams Racing team suffer a repeat of their result from Australia. 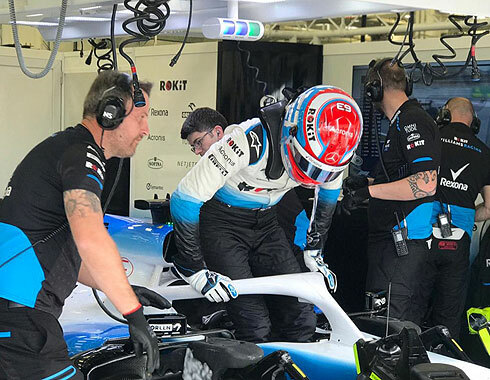 Both drivers George Russell and Robert Kubica would qualifying on the last row of the grid. Given their current situation this result was not unexpected. But at least the two drivers were able to set times that were separated by the smallest of margins with Robert being more competitive relative to his team-mate. Sundaty's race is unfortunately going to be another one where the team will suffer another dose of pain. The opening eighteen minute period would commence with both Williams coming out running on the soft tyre. The first quickest time would come from Albon with a 1m:31.125. The track would get very busy as drivers came out to set their times. Norris would set a 1m:30.406 to be quickest. But Leclerc would go quickest with a 1m:28.495 from Vettel, Bottas and Sainz. The Williams drivers were slowest but this time Robert would be ahead of George with three minutes remaining. Hamilton would move up to third followed by Bottas, Sainz, Magnussen, Verstappen, Grosjean, Raikkonen and Ricciardo. Both Williams drivers were back out for their next runs with the tarck again very busy. There were six cars in the pits as others went to improve their positions. At the end we would see both Williams fail to make it through the period, which was not unexpected. The second period would commence and at the end it would be the Ferrari's leading with Leclerc fastest from Vettel. Hamilton was third followed by Bottas, Magnussen, Sainz, Verstappen, Grosjean, Norris and Raikkonen tenth. The final period of qualifying would be a repeat of the previous ones with the Ferrari's leading with Leclerc on pole from Vettel and Hamilton. Bottas was fourth followed by Verstappen, Magnussen, Sainz, Grosjean, Raikkonen and Norris. For Williams their qualifying would again produce the same result with the pair starting from Sunday's race from the last row of the grid. Robert would be first out for the opening period of qualifying. Robert was running on new soft tyres. But he would return to his pit without setting a time. But he would return to start a timed lap. Robert would set a 1m:31.799 to be ahead of his team-mate for the first time over the weekend. Robert would return for his next run as the final minutes counted down. But he would fail to improve falling back behind George. George would follow his team-mate out into the first period. He was also on the soft tyre. George would complete his lap setting a 1m:32.393. He would pit after a quick three lap run. He would quickly return on another set of soft tyres. George was also back out for his second run again on soft tyres. George would set a 1m:31.759 to move ahead of Robert. 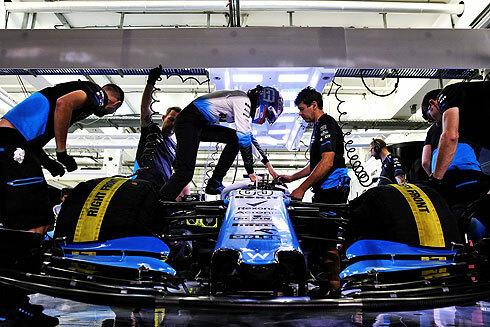 George would say in interviews "Difficult session for us .... we have to optimise the package we have and we didn't do that ... we have the same car as we had in testing."